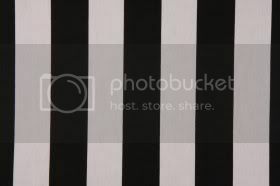 Canopy stripe is a beautiful heavy weight cotton fabric featuring bold black and white stripes. Each stripe is 1.5 wide. 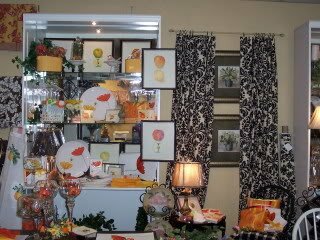 Custom Rodpocket Style drapes are available in up to 90 length. Each panel measures approximately 50 in width. They are lined and have deep weighted hems. Prices are per PAIR of panels (2). Total width of panels for rodpocket approximately 100. 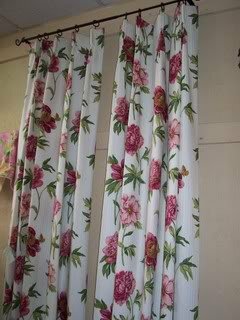 Drapes have a 3 rodpocket and can be hung on a decorative pole with or without clip style rings.